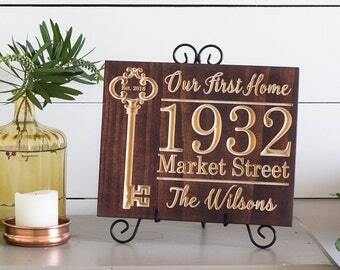 The signs are made of select pine to achieve a warm, golden color to the letters. 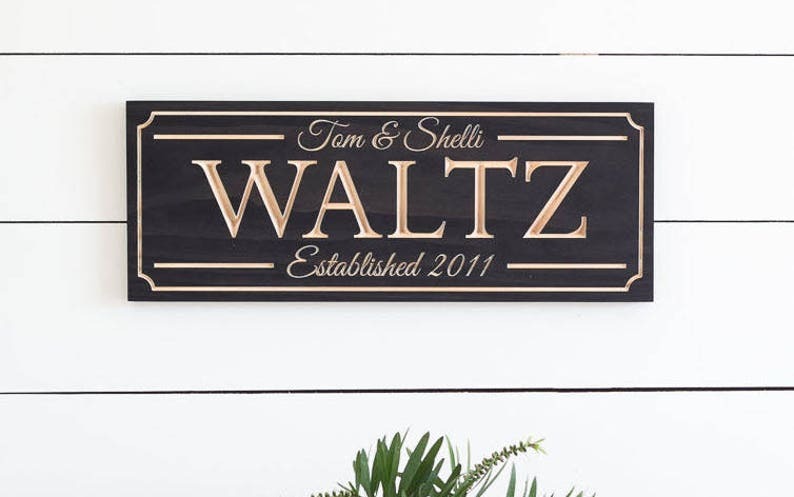 The surface of the sign is stained almost black to the grain just barely shows through and the letters are carved through it to let the wood's natural grain and texture show through. Each sign includes two sawtooth hangers on the back for easy hanging. Signs are meant for indoor use. This sign is approximately 7 1/4"x19" and 3/4" thick. Great product! Got a proof very fast and the sign even faster!! I do think the packaging could have been better, when I received the sign the box was very beat up and I think some extra packaging would have helped, but the sign was great!! Absolutely love this! Super fast shipping. Thank you! !